Toll-free numbers were introduced in the U.K. in 1960. AT&T launched its U.S. service (called IN-WATS, for Inward Wide-Area Telephone Service) in 1967. Before 1-800 there were ZEnith numbers. You had to get them through the operator. (The original telephone alphabet didn't have a Q or a Z.) Western Union had a ZEnith number as did most passenger railroads. 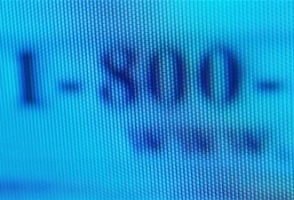 The emergency phone number for the California Highway Patrol is still ZEnith 1-2000 (ask for "Zenith twelve thousand"). But you still have to go through the operator. The problem is younger people who use cell phones don't know this and dial 921-2000 and get the wrong number. 911 works fine.